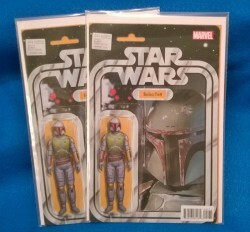 When Marvel launched their new Star Wars comics earlier this year they released multiple variant covers that included a unique set based on the vintage Kenner action figures where each cover looked like a carded figure. The man behind those covers is John Tyler Christopher. 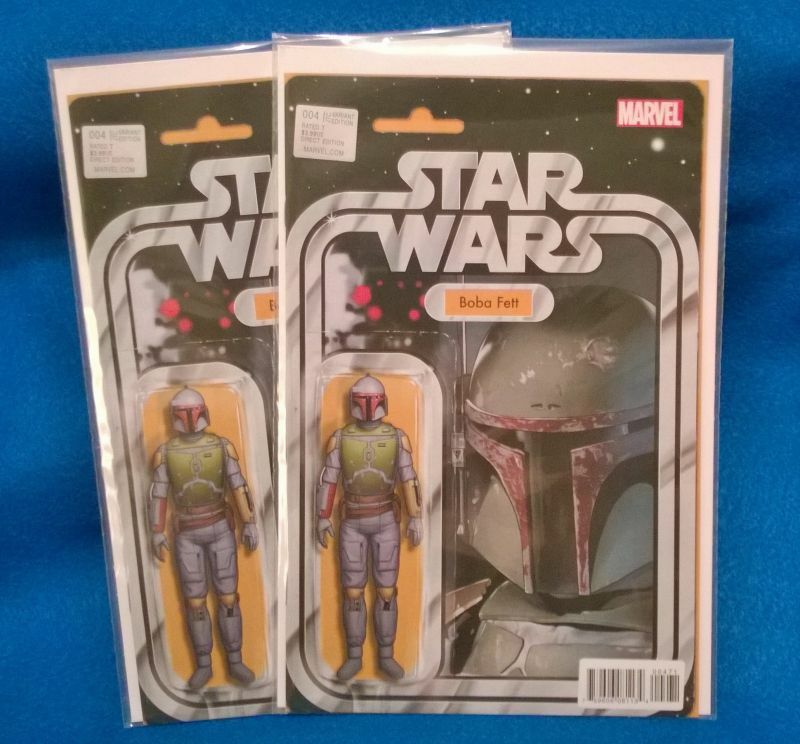 The action figure covers continued in April with the release of Star Wars #4, which featured Chewbacca for retailers and Boba Fett as an exclusive available directly from John Tyler Christopher’s website and at C2E2. The limited run of 5,000 copies quickly sold out online and at the convention. We received our copies in the mail on Monday and think that the cover turned out very well.